Todd M. Lynch, AIA, NCARB, LEED AP BD+C, is a Principal Project Planner for UCLA Capital Programs, with specialty in sustainable design and construction of new buildings and major remodels, from initial studies through construction and into post-occupancy. Todd has helped many campus projects achieve certification under the U.S. Green Building Council’s LEED Rating System, an internationally-recognized standard that stands for “Leadership in Energy and Environmental Design.” LEED has dramatically shifted construction industry practices toward healthier environments that conserve water, energy, and other resources. Recent projects include Pauley Pavilion, the Court of Sciences Student Center, Boelter Hall, the Kinross Graduate and Fitness Center, the Edie and Lew Wasserman Building, the Young Research Library, and the Spieker Aquatic Center, all certified at Gold-level, as well as Mira Hershey Hall, which earned Platinum. Todd serves on the UCLA Sustainability Committee and is active in UC-wide working groups for Green Buildings, Operations, Energy Benchmarking, and Sustainability. Todd is a Lecturer in the UCLA Department of Architecture and Urban Design, as well as the Architect Licensing Advisor for the campus. He advises and mentors candidates in the Intern Development Program of the National Council of Architectural Registration Boards. 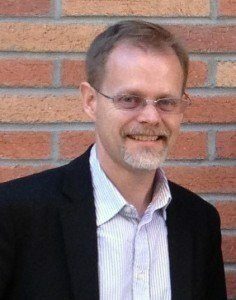 A regular participant in the Education for Sustainable Living Program of the UCLA Institute for the Environment and Sustainability, Todd has directed student Action Research Teams since 2012. He also advises two campus branches of national student organizations, the American Institute of Architecture Students (AIAS) and USGBC Students at UCLA. Prior to joining UCLA in 2009, Todd worked as an Architect and a LEED consultant. Past projects include the Barnes Foundation Philadelphia (LEED Platinum), the Annenberg Public Policy Center at the University of Pennsylvania, the Marcus Nanotechnology Center at the Georgia Institute of Technology, and the Seattle City Hall and Civic Center (LEED Gold). Todd holds a Bachelor of Arts in Architecture from Yale University and a Master of Architecture from UC Berkeley’s College of Environmental Design. When not busy greening campus buildings, Todd enjoys time with his family, hiking in the Santa Monica mountains, running on the beach, and enjoying the cultural, culinary, and artistic delights of Los Angeles.